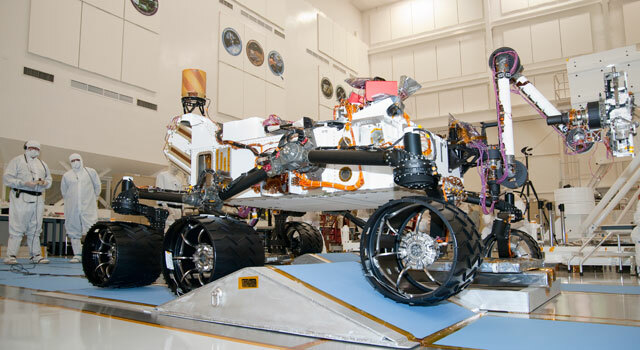 PASADENA, Calif. -- The rover Curiosity, which NASA's Mars Science Laboratory mission will place on Mars in August 2012, has been rolling over ramps in a clean room at NASA's Jet Propulsion Laboratory to test its mobility system. 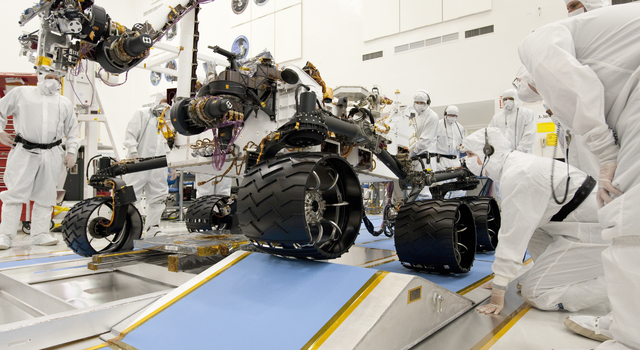 Curiosity uses the same type of six-wheel, rocker-bogie suspension system as previous Mars rovers, for handling uneven terrain during drives. Its wheels are half a meter (20 inches) in diameter, twice the height of the wheels on the Spirit and Opportunity rovers currently on Mars. Launch of the Mars Science Laboratory is scheduled for 2011 during the period from Nov. 25 to Dec. 18. The mission is designed to operate Curiosity on Mars for a full Martian year, which equals about two Earth years. A public lecture by Mars Science Laboratory Chief Scientist John Grotzinger, of the California Institute of Technology in Pasadena, will take place at JPL on Thursday, Sept. 16, beginning at 7 p.m. PDT Time (10 p.m. EDT). 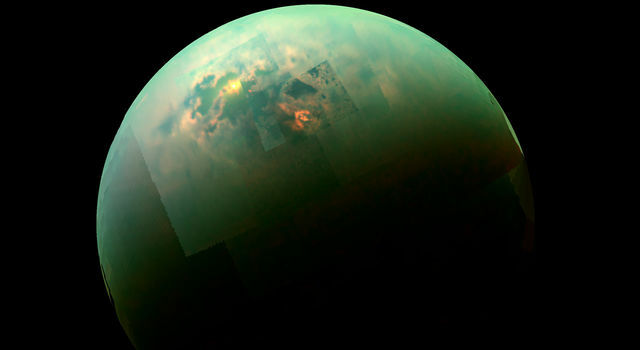 Live video streaming, supplemented by a real-time web chat to take public questions, will air on Ustream at http://www.ustream.tv/channel/nasajpl . 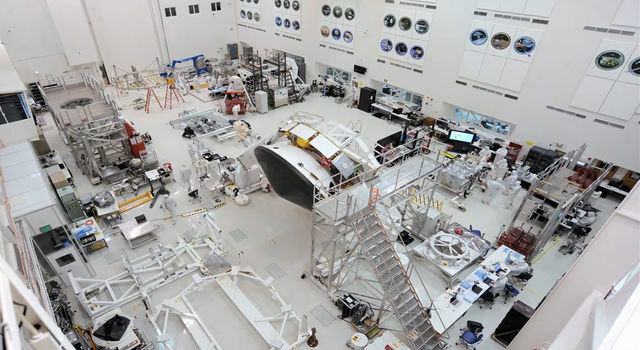 JPL, a division of Caltech, manages the Mars Science Laboratory Project for the NASA Science Mission Directorate, Washington. 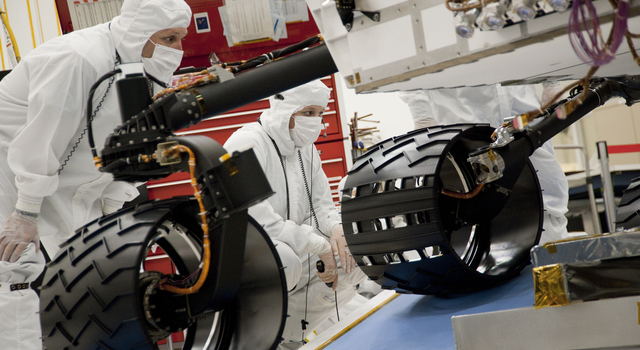 More information about the mission is online at: http://mars.jpl.nasa.gov/msl/ .